I was really looking forward to the Tom Cruise movie that day. I reached the theatre late, puffing and panting, saw Harry and my friend waiting – with tickets in their hands and murderous looks in their eyes. The show had started and we three ran inside without another word. Inside, catching my breath, I waited for the handsome hero to come in the big screen. Only, he didn’t. They were showing a Russel Crowe movie! After waiting for another 10 minutes and making doubly sure that Tom Cruise was not in the movie, I gathered courage to ask Harry what was happenening. Apparently, tickets were out for ‘The Last Samurai’ and we were watching ‘Master and Commander’ instead. Ahhhhh…that explained a lot! So, if you are here looking for a Strawberry Banana Muffin, expected as part of August Sweet Punch Challenge, and confused a bit at finding an entirely different Muffin, worry no more. The tickets for Strawberry (in Chennai) were out a couple of months back. 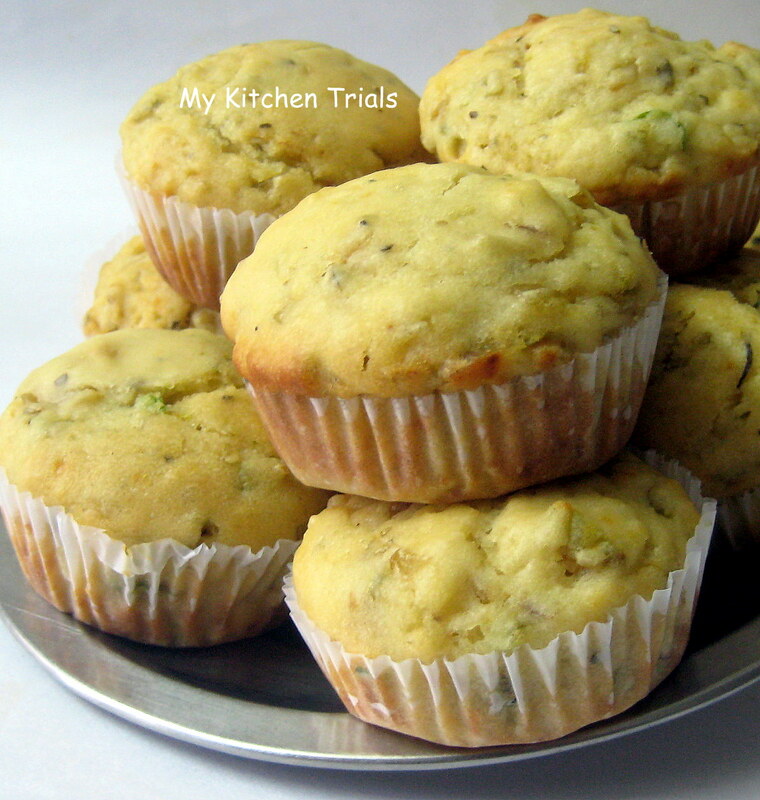 Harry and Bebo hate banana in baking, so I tried baking a muffin which will have takers in my home. The original recipe is from here and I adapted it a bit to suit my taste. Harry loved these, which is unusual. Sweet, but not overtly sweet and with a hint of onion and chilli in every bite, these were a refreshing change from the usual baked sweets. So here I am, with great bravado, offering Strawberry Banana Muffins for the Sweet Punch Challenge. Heat 1 tbsp butter in a pan and saute the onions for 3-4 minutes, till they start to brown. Take off the heat, add the chilies, herbs and keep aside. In another bowl, add the oil, butter milk and egg. Whisk till everything is well combined. Add this to the dry ingredients, along with the onion and chilies. Mix till everything is combined, do not over mix the batter. Fill the paper cups till they are 3/4th full and bake for about 15 minutes or till a skewer inserted in the center comes out free. Serve them warm. The movie incident happened in 2003. I still remember looking at the ship with bewilderment, wondering what was happening and where is Tom Cruise !!? Loved this savory version .I am happy that you couldn’t get strawberries as this was a product that resulted of that. 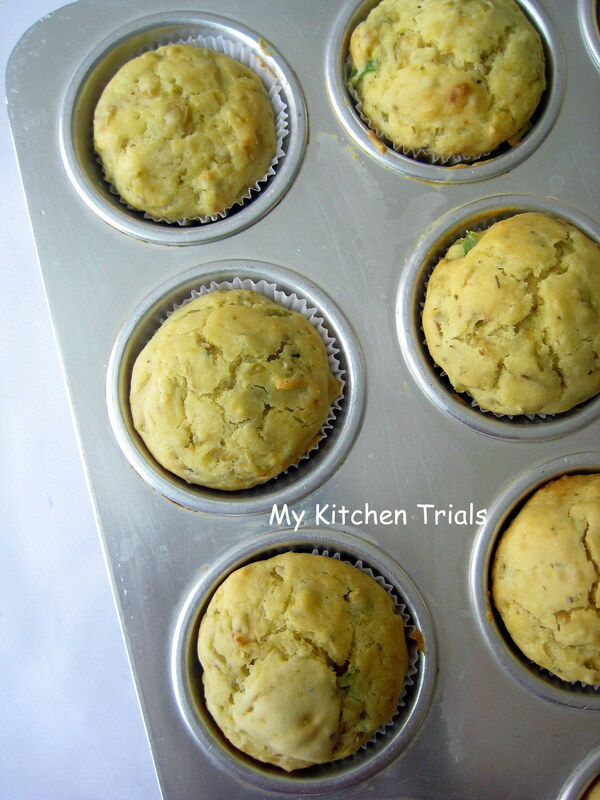 loved your innovation – as may have asked me if sweet free muffins could be made …………..this is a must try :) shall bookmark this. 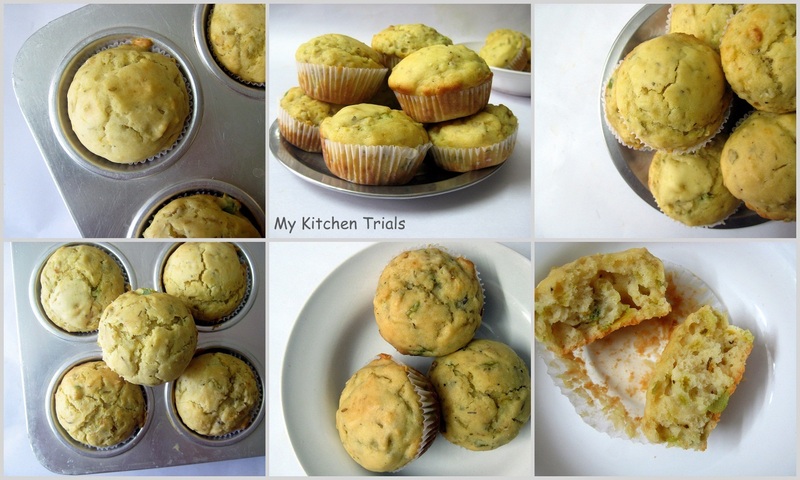 Nice muffins with a twist. Quite innovative! That is a nice savory version – you have to cook so the people who eat it will love it and you were right on the dot on that one! Nice muffins! Me too couldn’t find strawberries so went for apple and banana, I love your version, looks soft and yumm! That is a funny incident, to go for one movie and realizing you are actually watching something else. Love your twist in the recipe or rather a new recipe. Looks superb !!! An interesting twist compared to the rest of the entries. Sweet and savoury it seems.